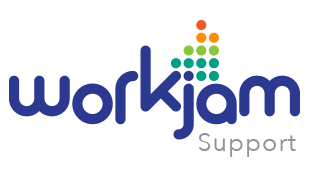 You can download the WorkJam app on both the iTunes App Store (Apple) and Google Play (Android) stores. Follow the links below to download the version you need. Once you have the app downloaded, log in with the same email/username and password you used to register online. There's no limit to how many devices you use - the same information will be available everywhere. Bonus step! Go to your phone settings and make sure you have push notifications turned on for WorkJam. This allows us to ping you whenever there's important activity that you need to be aware of.